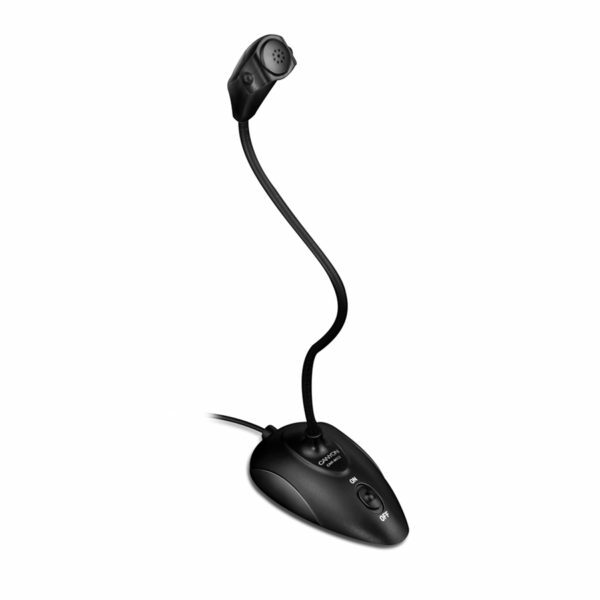 Enjoy crystal-clear Internet communications with this high-sensitivity desktop microphone. The CNR-MIC02N offers a very convenient, flexible and adjustable stand of 15.5 cm high: It enables you to bring the microphone to the mouth-level for precise positioning and enhanced sound quality. The CNR-MIC02N also features a convenient on-off/mute switch, a stable base and a trendy design with black color and silver accents. It can be easily connected to PCs or laptops with its 3.5 mm audio jack.